Description: Tribal trance and world beats. Biography: Uniting elements of world beat, techno/trance, pop and rock, Lost at Last’s music is a braid of the futuristic and the ancient, the organic and the digital. This is a sound that throbs with life: the sound of evolution in motion, of the tribal heartbeat being resuscitated by way of modern technology. This is the original tribal trance sound. Formed amidst the mystical energy of the Hawaiian island Maui in 1996, Lost at Last instantly became the rage in Maui’s intimate underground music scene. Adorned in black light paint, looking like a tribe from another star system, the band melded house grooves and trance and break beats with live tabla, congas, djembe, driving bass and gypsy rhumba rhythms on nylon string guitar. Multi-instrumental virtuoso Deva Priyo played sarod, berimbau, and electric guitar with passion and precision on top of complex live sequences provided by electronica wizard Om. All the while, vocalist Jaya Lakshmi, a white-clad vision of alien elegance, sang mesmerizing Native American chants and Sanskrit prayers in a voice that coursed with beauty, purity and strength. Throughout the show, dancers gave mind-blowing performances a la Cirque du Soleil on a stage decorated with psychedelic artwork. Lost at Last’s synthesis of sound and spectacle made their shows the journeys of many people’s lives. Audience and band became one in a spontaneous multi-dimensional adventure through consciousness. In 1997, Lost at Last moved to the San Francisco Bay Area to merge with the region’s burgeoning trance scene. The group was soon in high demand, becoming a key part of some of the West’s most exciting alternative festivals. Their first performance on the main stage at the Burning Man Festival in 1998 has come to be remembered as one of the festival’s highest moments ever. 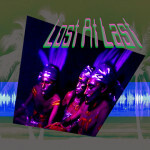 Lost at Last found its place at the forefront of musical expression for a blossoming new subculture in the world. Cultural/musical fusion is happening at an exponential rate in the world today; the trailblazing music of Lost at Last and their newest incarnation One at Last, can still be found riding the peak of this wave. With songs sung in many languages (including English) inspired by various musical and spiritual traditions from around the world, the group conveys the spirit of cultural unity in a style that’s accessible, catchy and infinitely danceable; ultimately, a spiritually ecstatic experience for most. In the summer of 2004, Jaya Lakshmi and Deva Priyo began working with other electronica artists and experimenting with different formulas to deepen and refine their sound. Under the new name “One at Last”, they are currently developing new music for live shows and for a new CD, slated for release in 2006. The group’s present line-up includes bassist Deon Estus (L.A.) and trap drummer “M.J.”, Michael St. John (Ashland, OR) , who returned to the band after a four-year break. One at Last’s percussion section remains a revolving lineup of some of the great players of the West Coast: Daniel Paul on tabla, Wade Peterson on djembe and conga, and Brian Forbes on djembe, conga, timbales and other percussion instruments. Om continues to create sonic magic out of his Planet Om studios, occasionally performing live, often working with other gifted artists. Since relocating to Eugene, Oregon, One at Last has been playing more gigs and festivals in the Northwest, but also continues to tour up and down the coast, inviting audience after audience into a timeless, boundary-less nebula of sound where the ancient and modern, the urban and the exotic, the past, present, and future of music are one at last. As Lost/One At Last’s vocal and focal center, Jaya Lakshmi is the chanting, undulating embodiment of positivity and cosmic chic, managing to put across a mystical presence while staying wholly unpretentious. Her earthy-ethereal manner is reflected in her voice, a rich, beautiful ocean of tones in which power and sweetness intertwine. Having grown up in a musical family, Lakshmi began writing songs at 15, joining her first band (a folk group with four-part harmonies) while attending high school in Middletown, New Jersey. After high school, Lakshmi delved deep into the study of the world’s indigenous cultures and spiritual practices, receiving a degree in Anthropology from the University of New Hampshire in 1985. Six years later, she would move to the Big Island of Hawaii, where her participation in a number of traditional Native American ceremonies served not only to reconnect Lakshmi to her own Native roots, but also to etch the sound of tribal chanting deeply into her mind. Soon after, she’d meet the Indian guru Srila Govinda Maharaj, who gave the singer her spiritual name, Jaya Lakshmi: “Victory to Lakshmi,” the Hindu goddess of prosperity. Lakshmi’s musical and spiritual interests would ultimately fuse in Lost At Last, the band she formed on Maui in 1996. The group continues in the present day as One At Last. Along with singing and playing keyboards, harmonium, 12-string guitar, and percussion in One At Last, Lakshmi regularly gives natural highs in the form of bhajan and kirtan sessions across the West Coast. The sweetness of her devotion is matched by the breadth of her musical talent, earning her a passionate following as one of the few touring female kirtan leaders in the west. In addition to her albums with Lost at Last, Jaya Lakshmi has created two solo kirtan CDs, 2003’s Ocean of Mercy and 2004’s Jewel of Hari (Sequoia Records), and has begun work on a third, due for release in 2006. Eventually Deva Priyo may be able to set his instruments aside and transmit his sense of longing, awe, and reverence to his audience by way of brain waves alone. Whether he’s holding a nylon string or electric guitar, sarod, berimbau or any of several percussion instruments, Priyo’s mind-bending virtuosity seems to tap some seething, pulsing power source that needs the spacesuit of sound to visit this planet. The intensity of Priyo’s playing may owe a debt to genetics; he was born to opera singer parents in the Palermo region of Sicily, where he lived up through his early 20s. In 1979 Priyo travelled to India to meet with the spiritual leader Osho, who gave the musician initiation and presented him with the name Deva Priyo. While living in communities in India, Italy, America, Germany, and Switzerland during the late 1970s and early 1980s, Priyo played swirling, transformational music for Osho’s dynamic meditations and countless community gatherings and parties. Following a move to Australia in 1992, Priyo formed the Afro-Mediterranean/organic trance band Gypsy Moon, which (thanks in no small part to his outrageous guitar skills) was a huge hit in the dance underground Down Under. Ever on the quest for a new sound, Priyo moved back to Maui in 1996 to feed his growing impulse to play trance music; a calling that ultimately led him to form Lost at Last. In the present day, Priyo’s playing continues to influence, inspire and flabbergast. In addition to his work with One at Last, he’s currently preparing his first solo CD, Gypsy Moon, for release in 2006. Techno wizard… Digital Shaman… Trancemaster… these are some of the ways that people refer to Om. He was the programmer, keyboard player and groove central for Lost At Last. He released his first critically-acclaimed solo new age album “Earth Awakening” in 1990. It is an “upbeat new age” CD he describes. It was the beginning of his vision to bridge new age music with rock, and later dance music. Since then he was influenced by techno, house, trance, and ambient and has further developed his style. He was the co-founder, keyboard player, and programmer for Lost At Last in Maui Hawaii. “Most new age music,” he says, “is centered around the upper chakras while most rock and techno is centred around the lower chakras. Trance sometimes addresses some higher and lower centres but it is hard to find music which resonates all the chakras simultaneously. My intention has always been to create this musical experience which opens all the energy centres. Lost At Last is doing this I believe.” Om currently resides in Anderson Springs, California (near the famous Harbin Hot Springs).